A wise elf once said, “The best way to spread Christmas cheer is to sing loud and clear for all to hear.” London got the memo. You can’t escape Christmas cheer around these parts whether you like it or not. Luckily, I love it. 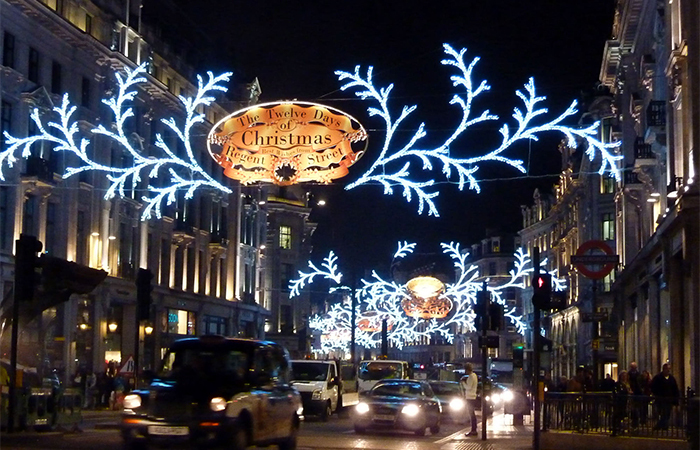 When Margo mentioned she was planning a visit to London at the end of December I couldn’t resist sharing my festive London to-do list with her and all of you. This town is magical during the holidays and they start EARLY. Like two weeks ago. Since there’s no Thanksgiving celebration on this side of the pond, they roll out the red carpet for Christmas in early October. It coincides perfectly with my own personal timeline to begin playing NSYNC* and Mariah Carey Christmas albums on repeat. The retail displays at Christmas are brilliant, as we say here. 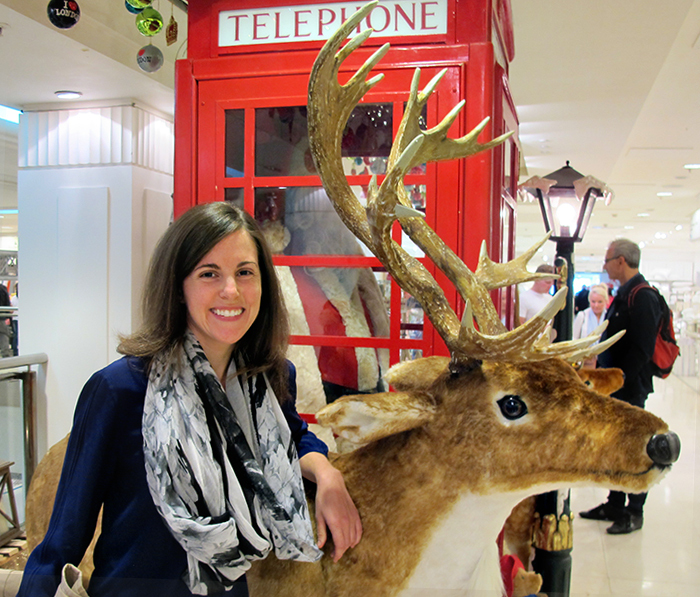 Harrods, Liberty, Fortnum & Mason, Selfridges, and Hamley’s are a few of my favorites. 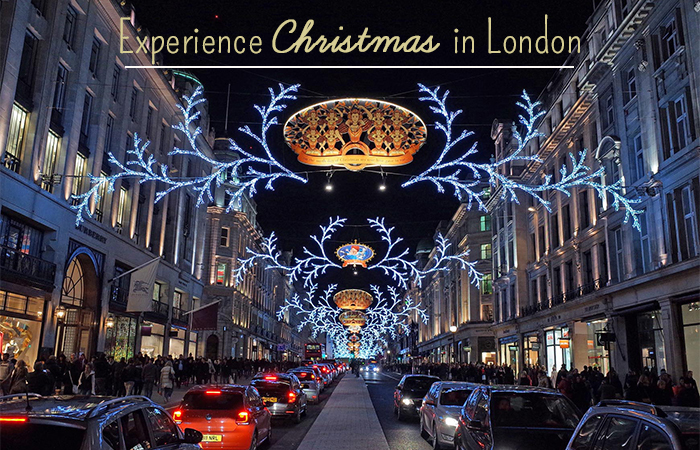 These stores also have dedicated Christmas stores within that will blow.your.mind. Treat yourself to a tasty cocktail at Aqua Shard on the 31st level of London’s tallest glass building. Justify the higher than normal drink price by appreciating the bird’s eye views of London speckled with Christmas lights while you sip. Now that you’ve warmed up your shopping muscles with window shopping, it’s time for the real deal. 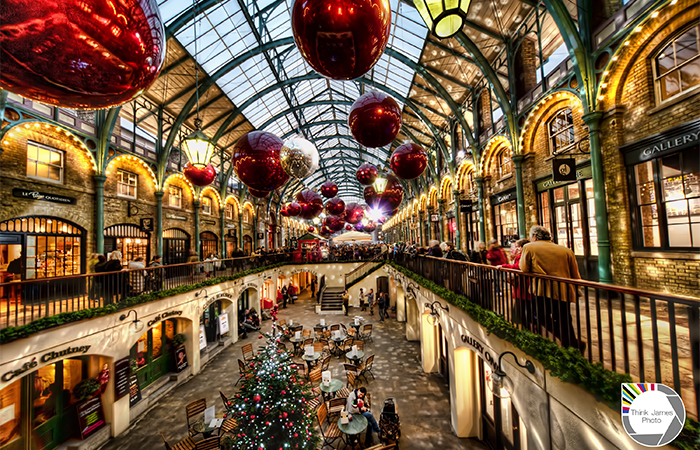 The best places I found for gift shopping last year were near Covent Garden (pictured above) and Carnaby Street. And if you don’t find what you’re looking for there, you’ll always find something on Oxford and Regent streets which house every store imaginable. I love walking along Oxford and Regent streets to see the extensive light displays so it’s a win-win. 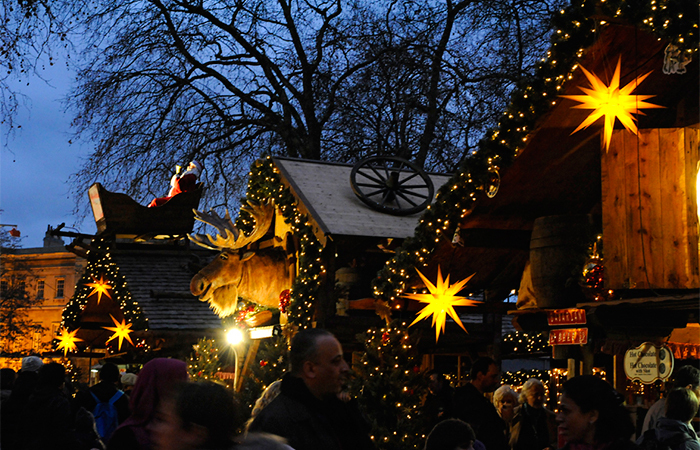 Hyde Park transforms into a legit winter wonderland starting November 21st. There’s an ice rink, German-style Christmas markets, food vendors, gift market stalls, and even carnival rides. 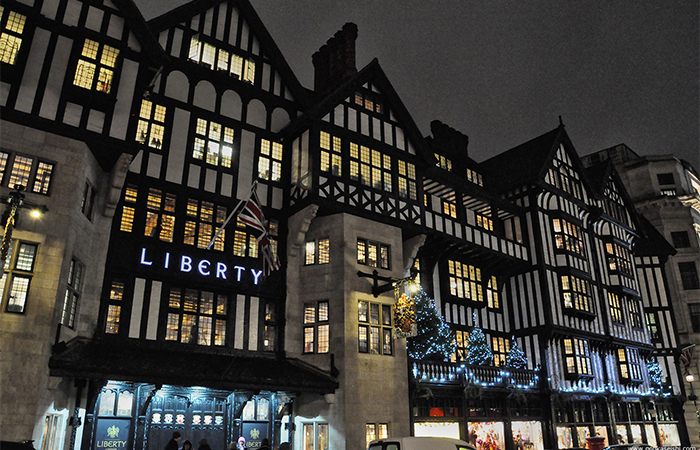 Sip on mulled cider or wine to stay warm while you wander around. Details here. I haven’t done this yet because this is one of the hottest tickets in town. I’m planning to go this year so maybe we’ll meet there. 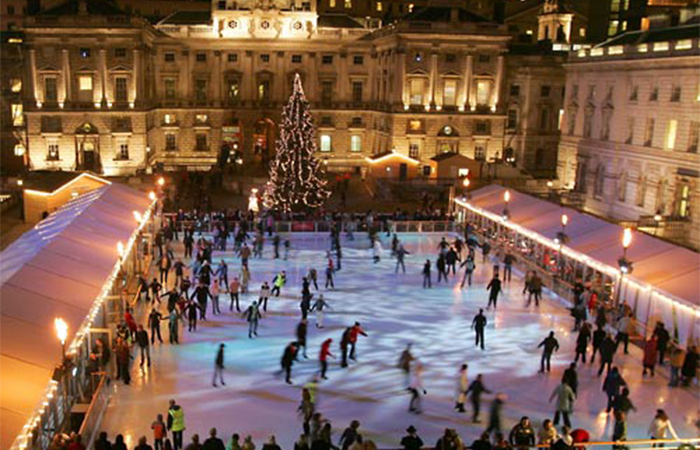 There’s a few ice skating rinks that pop up around London at the holidays but this one is the most iconic. Details here. 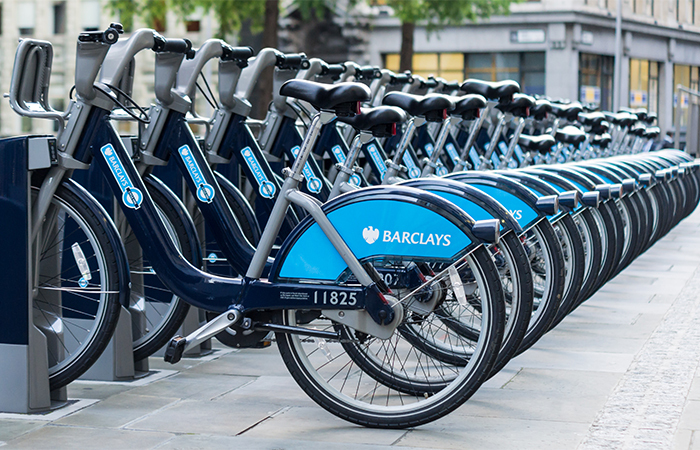 My favorite activity last year was taking advantage of the quiet streets on Christmas Day to rent Barclay’s bikes and tour London on wheels. Public transportation doesn’t run on Christmas Day so you have the entire bus lane to yourself. We biked by all the iconic sites like St. Paul’s, Westminster Abbey, Parliament, Big Ben, Buckingham Palace, the London Eye, and Trafalgar Square. Hands down one of my favorite days in London so far. Mince pies and Christmas crackers are just a few of the traditions that make Londoners all warm and fuzzy this time of year. 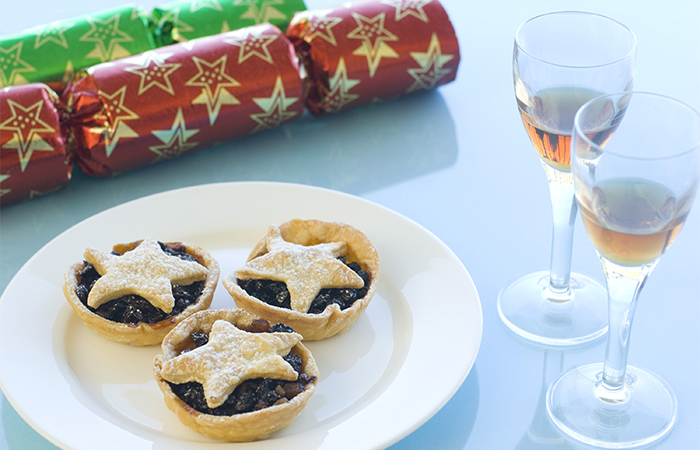 Mince pies sound strange but they’re really tasty and sweet. And Christmas crackers aren’t edible crackers like I once thought. Those babies are full of little paper crowns which should be worn on one’s head after opening plus a little gadget or toy inside. Some department stores even sell high-end Christmas crackers filled with jewelry or electronics if you’re feeling extra fancy. Don’t make any Christmas Day travel plans if you can help it. Everything shuts down on Christmas Day with the exception of a few cabs and local pubs. You can bike around London but you don’t want to bike to the airport. More on that here. It’s not uncommon to hear “Happy Christmas” instead of “Merry Christmas”. Go with the flow and appreciate the fact that British people are even talking to a stranger. If you’re staying for New Year’s Eve you’ll want to check out this guide. Thanks, Jen! I can’t wait to do ALL of these activities during my holiday visit!